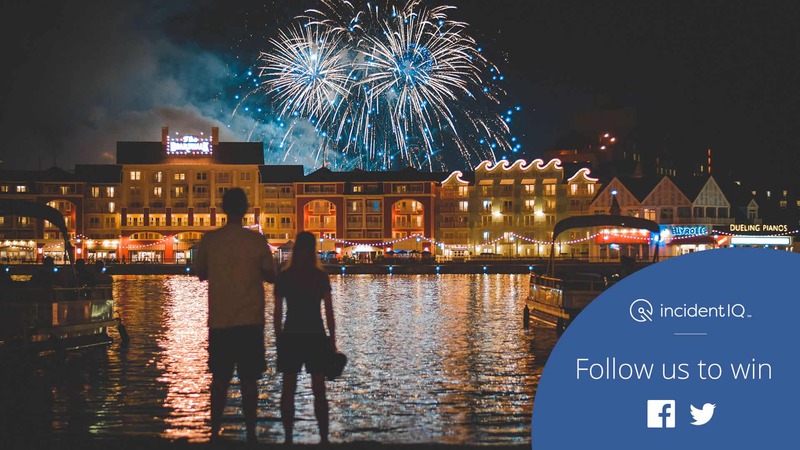 Incident IQ is giving away four (4) one-day tickets* to Walt Disney World Resort in Orlando, Florida. Enter to win by liking Incident IQ on Facebook (facebook.com/incidentiq) or by following us on Twitter (twitter.com/incidentiq). Each social media follow counts as a contest entry, so follow us on both platforms and increase your chances to win! *For more information about the contest, please see our Contest Terms & Conditions. Prize will be distributed in the form of a Disney gift card, equivalent to the value of four (4) one-day tickets during peak park hours.